Neroli is an exquisite, beautifully fragrant floral oil which soothes, relaxes and uplifts the spirit and helps build confidence. Our 100% Pure Neroli Essential Oil (also known as Orange Blossom oil) is steam distilled from fresh flowers and has an absolutely exquisite aroma. Botanical Name: Citrus aurantium L. ssp amara L.
Blends Well With: Citrus oils, Rose, Jasmine, and Ylang Ylang. For a really luxurious blend, mix with Rose Absolute and Jasmine Absolute oils. Pure and undiluted Neroli essential oil (also known as Orange Blossom oil). Neroli is a beautifully fragrant, floral oil which soothes, relaxes and uplifts the spirit and helps build confidence. Neroli essential oil has a exquisite aroma and is an excellent skincare oil. It's perfect for mature, dry, sensitive skin, as well as scars and stretch marks. Neroli is often used to relieve tension, stress and anxiety, and is helpful for performance anxiety (like stage fright). It takes about 1000 pounds of hand picked orange blossoms to produce one pound of Neroli oil. If you're looking to experienec Neroli at a lower price, check out our 5% solution in Jojoba. Review: Orange blossoms (Neroli) is one of my favorite florals. I purchased this to make my own perfume and while it is expensive, it’s worth every penny. It is one of the most versatile EO, blending across the aroma wheel. Review: Just awful. 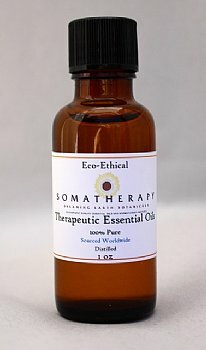 I know how this oil should smell both when diffused and from the bottle. There was apparently NO quality control for this batch. I had to refund for a refund. I would give it a zero if I could. We stand behind all our oils, so as we discussed last week, we'll refund you for the oil and we'd like it back to see if possibly you were sent the wrong item! Thank you.